Signatures are part of the photograph, it is NOT hand signed. 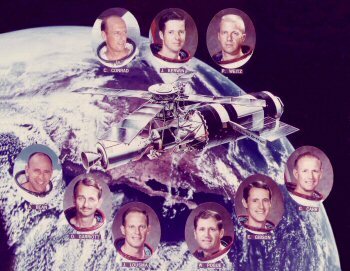 A special one off NASA colour photograph composition made for the Skylab 2 Recovery Team. 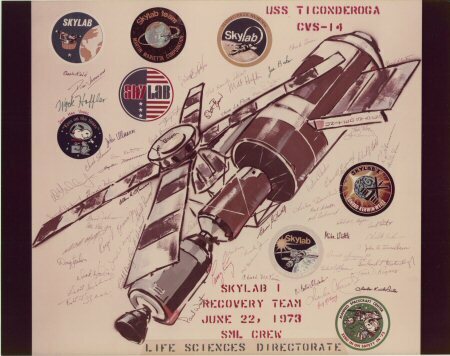 Duly signed by all including the first manned Skylab Crew, Conrad, Weitz, and Kerwin. 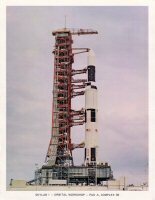 This very fine vintage colour glossy NASA photograph is in near mint condition. 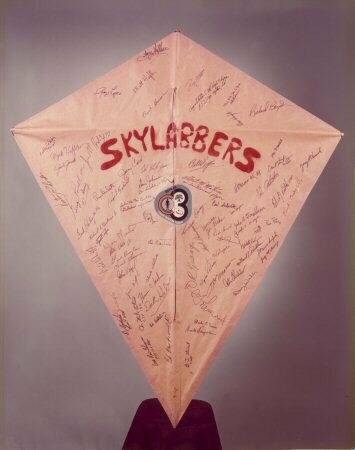 A kite signed by the Skylab 4 crew (just under SKYLABBERS) and all that helped make the mission a success. This kite was actually flown by KSC workers at the Cape.